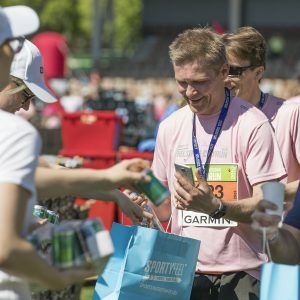 The Helsinki City Marathon Relay is a great way to share the atmosphere of a marathon among a team on May 18th, 2019. Share the marathon route with 4 persons and participate in the relay. 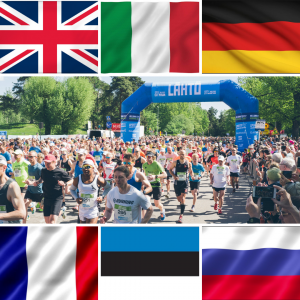 The Helsinki City Marathon Relay follows the route of the marathon with legs of 15, 12, 8, or 7 kms. One person (the team leader) may enter a team and add the other runners to the registration later. Team leader is responsible for updating the details of the runners. 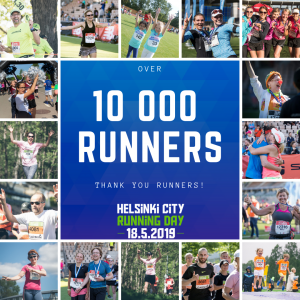 NOTE: If you register one relay team for the race and pay for it right away, please choose “Individual entry” and then “Helsinki City Marathon Relay”. If you want an invoice for the registration or you want to sign up more teams at a time, please choose “Create a team”. Equipment service at finish area. Team members take care of each other’s equipment between the legs. A ticket for the Helsinki City Transportation for four persons. Two tickets for two people running the mid-legs.